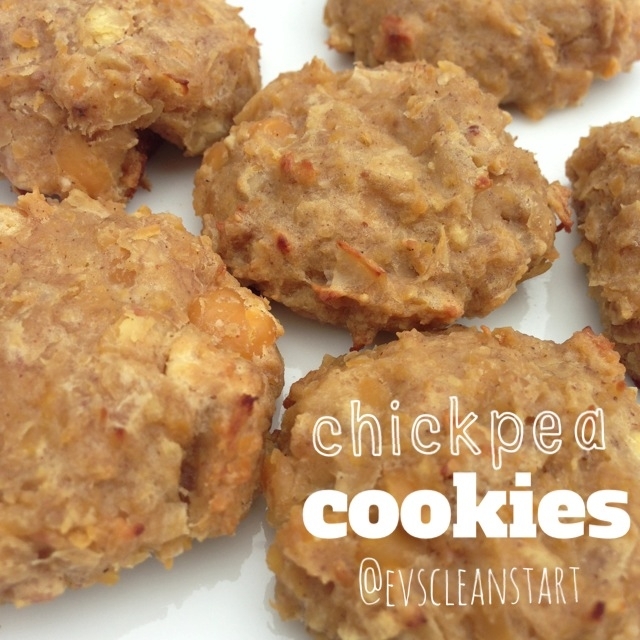 Chickpea cookies? Who knew! Only 5 ingredients, and super yummy! 2. Form into cookies, place on parchment paper, and bake for 20 min at 350.